When police officers travel for vacations, they sometimes bring their work partners along. No, I’m not talking about Sal whose driving makes you crazy, whose police uniform is stretched to its fabric’s tensile limits, who always seems to have a coffee stain somewhere on the front of his shirt. No, not him. I’m talking about those police partners with names like Glock, Smith, Wesson, and Barretta. The TSA provides rules and procedures for law enforcement officers to check their guns while traveling. 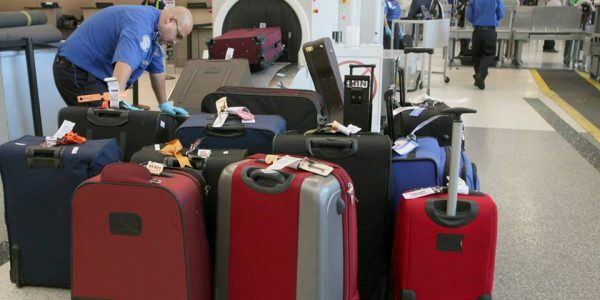 Since the 9/11 attacks, passengers can no longer lock their luggage, so theft is not unusual. In fact, it’s not a surprise. There have been incidents where airline baggage handlers were investigated, arrested, and prosecuted for theft of passengers’ property. But surely a cop’s gun is secure and safe from theft, right? Not so much. The Seattle Times published a story picked up from the Associated Press, reporting the theft of duty weapons from three Bellevue (WA) police officers. According to federal authorities, 22-year-old Mack Stewart, a contract baggage handler at Bush Intercontinental Airport in Houston, Texas, pleaded guilty to stealing the officers’ guns. Stewart’s hearing before U.S. Magistrate Christina Bryan is set for September 11, 2018. The alleged thief could receive 10 years in federal prison and a fine of $250,000. Stewart is free on bond pending trial. On October 4, 2017, the officers discovered their weapons missing after returning home to Washington State on a United Airlines flight from Houston. The mystery of what happened to their guns was solved when an officer pulled Stewart over for a traffic violation. During the contact, the officer found Stewart in possession of one of the Bellevue officers’ firearms. And this is not the only example. Hawaii News Now reported two cases of checked guns stolen by three baggage handlers in Maui. The thefts occurred on June 24and July 28, 2016. Hawaiian Airlines corporate security reported the thefts to the Maui Police Department. In the first incident, a baggage handler stole a deputy sheriff’s checked handgun during a layover in Maui. The deputy was traveling from Los Angeles to Hilo. In the second incident, another baggage handler stole a Menlo, California police officer’s checked gun during his travel to San Jose, California from Kahului, Hawaii. Maui police and federal authorities arrested three baggage handlers. They took a 28-year-old man and 52-year-old man into custody, who were charged with first-degree theft. Prosecutors charged the third suspect, a 29-year-old man, with third-degree theft. Reportedly, Hawaiian Airlines has placed the three men on leave without pay, pending investigation. The government arrested 3 TSA agents in Virginia for stealing belongings from YOUR luggage – including guns. There are a lot more than 3! So, while thefts of guns that cops check on airlines are not common, they obviously occur. The only thing law enforcement officers can do to prevent thefts of their firearm while flying on commercial airlines is not to check a gun for the trip. That’s not always practical. As I’m fond of saying, I’d rather have a gun and not need it than the other way around. As with anything cops do, they must weigh pros and cons before they make any decision with risks attached. This story should serve as a simple heads-up. Steve Pomper is an OpsLens contributor, a retired Seattle police officer, and the author of four non-fiction books, including De-Policing America: A Street Cop’s View of the Anti-Police State. You can read a review of this new book in Front Page Magazine and listen to an interview with Steve on the Joe Pags Show. Steve was a field-training officer, on the East Precinct Community Police Team, and served his entire career on the streets. He has a BA in English Language and Literature. He enjoys spending time with his kids and grand-kids. 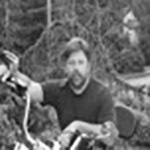 He loves to ride his Harley, hike, and cycle with his wife, Jody, a retired firefighter. You can find out more about Steve and send him comments and questions at www.stevepomper.com. The Czech Nuclear Fade: Where Do They Get Electricity if Putin Gets Angry?